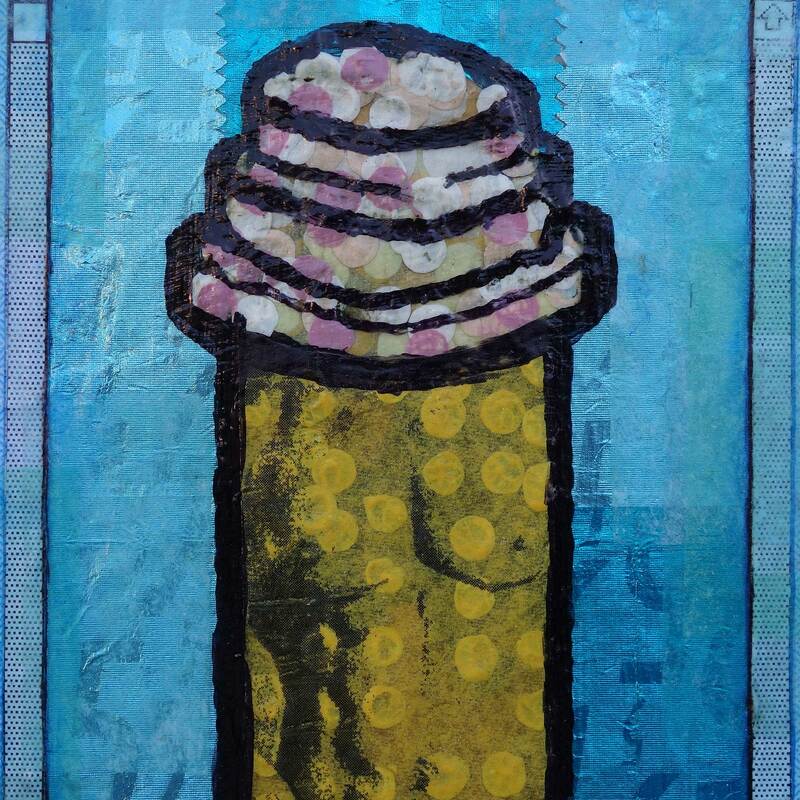 Macintosh 1984 scrollbars, 5-Gum wrappers, tissue, ink, acrylic on canvas board. Framed. 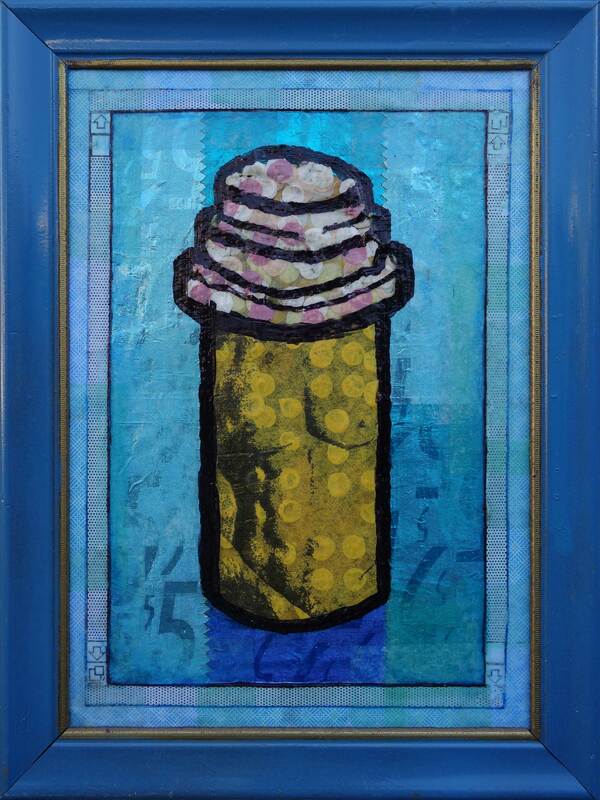 Category: Pill Bottles Tags: 2012, 5" x 7"